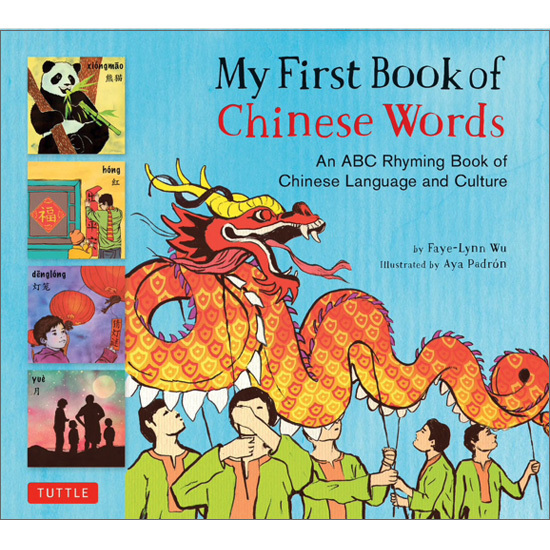 My First Book of Chinese Words will introduce young children with the basic sounds and written characters of Chinese, as well as introduce core concepts of Chinese culture and illustrate the ways in which Chinese sounds differ from English ones. It is a book that has been designed for parents or teachers and young children to enjoy reading together. The Chinese words in the book are all common, everyday items, and the rhymes are informative and fun for children. 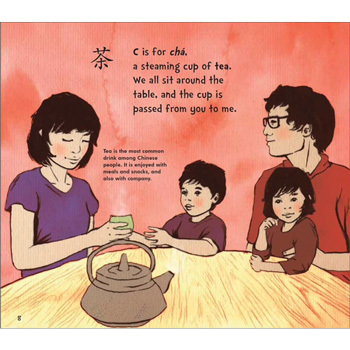 There are cultural notes at the back of the book for parents and teachers and the book is organised using a familiar ABC structure. Each word is presented in Chinese characters (both Simplified and Traditional) as well as Romanized Pinyin for easy pronunciation. The text in the book is mainly in English and each page, represented by a different letter of the alphabet, introduces a new Chinese word. My First Book of Chinese Words is suitable for introducing Chinese words to English-speaking children. It introduces both simplified and traditional Chinese characters.